The Instagram video editing app was named as one of the most popular social platforms of the year 2012. Many people think this story will reappear in top video recording and video editing applications, but this is only partially correct. This article discusses the best performing products in a video editing environment and explains why they stand out as a video recording and editing application. 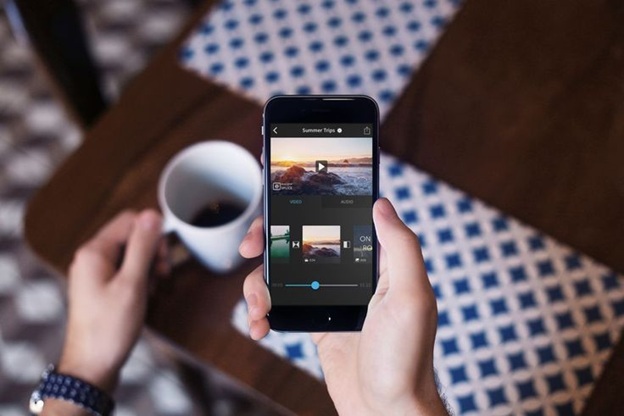 What is a video recording and video editing app? You can divide this application into three broad categories. An application with recording and editing capabilities. What does the video recording application offer? Action Stop – Record a very short video containing 2 to 3 frames. In short, the video recording application is limited only by the features of the phone camera. What features does the video editing app offer? Combine the recorded blocks into a single file. Special video effects (using other filters and emojis or text to repeat music through video). Cut and crop videos to upload to Instagram, Facebook, Vimeo and other services. Special sound effects (adding tracks, recording narration, adding a speech filter). Unlike video recording applications, video editing applications use previously recorded video and apply a variety of tools to make video footage look like a movie. How to develop video recording and editing applications? App developers use three main ways to develop video applications. You can develop applications using basic platform tools (for iOS or Android). This means that no backend services are needed in this case. Applications can be developed using cross-platform solutions such as HTML5 or PhoneGap. The application can only rely on the backend process for video editing and file processing. Each of these methods has advantages and disadvantages. Native solutions are more expensive to implement for the client and may require more time for developers, but the results tend to produce better results. You can learn more about cross-platforms in an article discussing native cross-platform solutions. AVFoundation’s basic iOS framework provides basic services for audiovisual media work on iOS. You can use this framework to achieve almost everything you need for a good video editing app. iMovie is one of Apple’s flagship products, built using the basic AVFoundation tool. 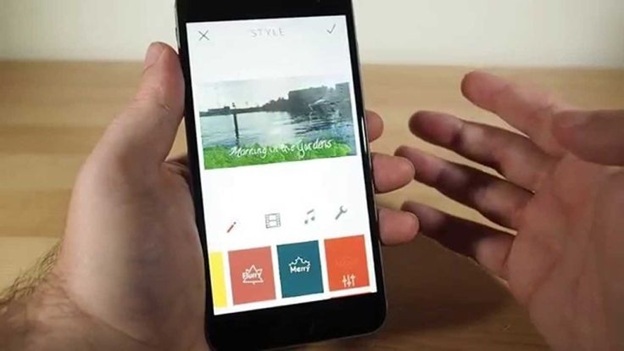 Some of the best features of the app include video filters, the ability to add animated titles or tracks to clips, and 14 trailer templates designed by the world’s best filmmakers. The latest version of iMovie lets you slow down or speed up editing and easily extract audio from video clips for independent audio editing. The real advantage of iMovie is that users can save video clips created with the iMovie app in their photo library or transfer them to other Apple devices via AirDrop or iCloud drives. After uploading to the cloud, users can use iMovie to complete video editing on an iMac or MacBook. iMovie is the obvious choice for iPhone users. This makes the iOS platform a competitor when launching other video editing or video streaming apps. Despite the intense competition, there are some famous apps on the market. Splice is another powerful but minimal video editor for iOS devices. You can record a video clip, record your own voice to add a title and narration to the movie and sync the sound effects to match the situation on the screen. Splice is great for creating home videos quickly and easily, recording your work projects or creating presentations because there is no overhead in video editing. Like iMovie, Splice offers a variety of filters (including filters that mimic other lenses) and sound effects. Unlike iMovie, which sells for $4.99, Splice is free. In other words, Android’s video app seems to have failed in battle with iOS. Currently, the Android platform has more than one million applications, but finding the best video editing app for Android is still difficult. Android does not provide a basic solution for video editing. While it is possible to find a third-party alternative, Android’s mobile video streaming app is not necessarily slower and more elegant than the mobile video solution built for iOS due to hardware and software limitations, so the end result is not smooth. In the past, Google tried to fix “Android video issues” by providing its own Android video editor. It was launched in 2011 as Android 3.0 Honeycomb, but it did not succeed. It was abandoned in 2013. Creating a video editing app for Android is difficult because Google does not support native libraries and frameworks. However, there are applications like AndroVid and VivaVideow. AndroVid is a video cropping and video segmentation tool that lets you create images as video frames and convert them into MP3 audio files. It also has a confusing user interface and bothers you before you buy a Pro version. VivaVideo is a more attractive video editing application for iOS, Android and Windows devices. Provide filters, stickers, themes, text alignment and transitions for post-processing. What’s even more impressive about this app is that it allows you to shoot your content as the app applies annotations in real time. However, the user interface of the VivaVideo app may be better. You must switch between different menu sections to perform various tasks. The VivaVideo app is free, but the Pro version allows unlimited video length and watermark deletion. To develop applications such as AndroVideo or VivaVideo, you must use cross-platform software such as the FFmpeg multimedia framework. The process of developing a video application using this framework is complex and costly. Software is not the only reason many video editing applications developed for Android devices are compared to iOS devices. Some devices are inherently more suitable for video than others. For example, a camera on an iPhone 5 or higher camera can record 120 FPS video for slow-motion effects. The iPhone 6 or iPhone 6 Plus has evolved into a 240 FPS camera mode. Some Android devices also allow users to record video in slow motion mode, but the number is very limited and the settings are somewhat user-friendly. These devices include Samsung’s Galaxy Note 3 and Galaxy S4. Other very powerful mobile cameras do not have built-in slow motion shooting. Sony’s Xperia Z1 has an amazing 20-megapixel camera but cannot record slow-motion video. If you want to create a video editing application for Android, you need to deal with the limited functionality of most current devices, but as more and more devices running Android grow, more and more companies will develop their own Android video editors. As mentioned earlier, platform features and hardware play an important role in defining the scope of video recording and editing application development. But we are talking about product development, so we have to mention users. It’s surprising that these movie clips not looking for a rich feature person who doesn’t care to delegate most of the work with the app itself as if it were running in a video editing application experiment on the backend implementation. For those who don’t have time to edit the video, Magisto is a good example of the application. Magisto is available for iOS and Android devices. The video editing logic of your application is implemented on the back end, so Magisto does not need to be trimmed or edited. Simply select one of a series of themes and audio tracks associated with the theme, and Magisto will do all the work and return the completed video. Like Magisto, Replay is an app that focuses on creating videos automatically, albeit for iPhone and iPad users only. The business model of Magisto and Replay is a bit different. The play target is an Instagram user, so Magisto will use a subscription model that allows subscribers to unlock and process the cloud storage of the movie while providing a filter for in-app purchase options. Developing a Music Streaming App, Video Streaming App or Video Editing Application for all mobile devices can be an extreme experience due to lack of hardware capabilities and other factors. But if you are sure that you can face these challenges, it will become a new trend in mobile applications!